Are you thinking of buying a portable induction cooktop for your kitchen? 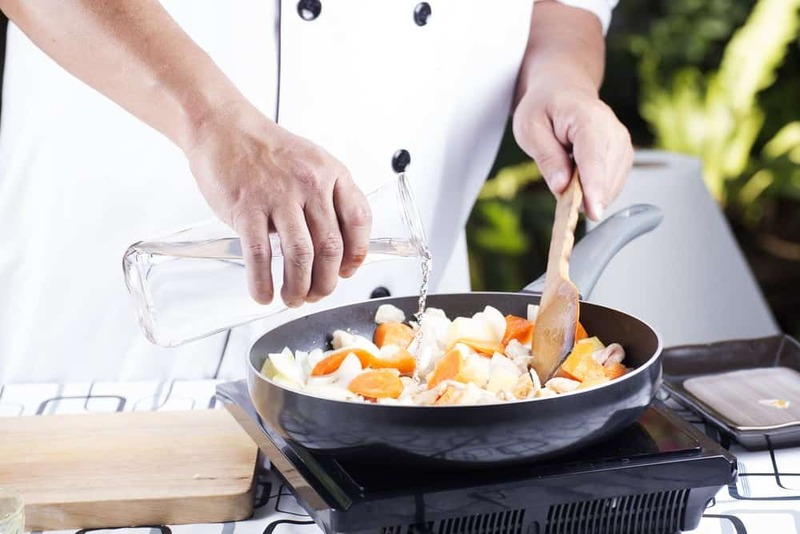 If yes, then take the time to read this whole article as we teach you how to select the best portable induction cooktop that will give good value for your money. Whether you like something as an extension to your present stove or as a main cooker for your small-spaced kitchen, getting a portable induction cooktop is a good choice. With the many brands available on the market today, we know how it’s hard to choose the best. To streamline your choices, we review five portable induction cooktops that are garnering positive reception from users. We’ll also give a guide to help you make the right purchase. What are the advantages of using portable induction cookers? 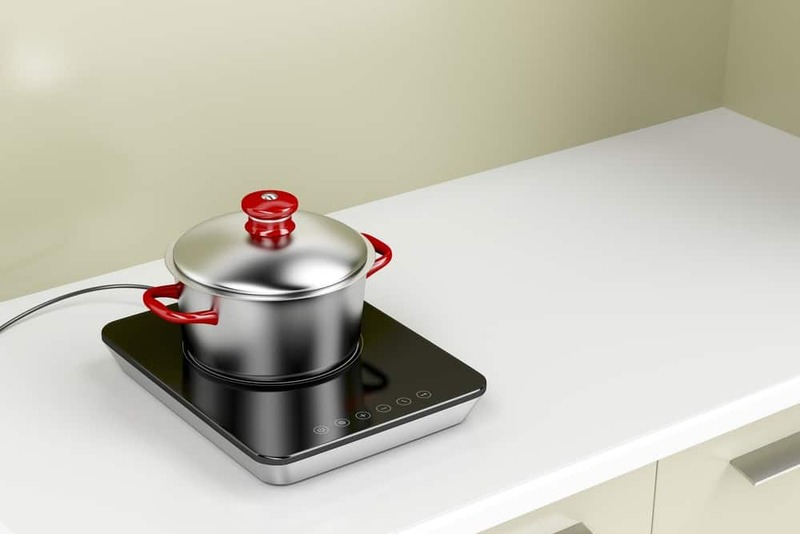 An induction cooker uses electromagnetic fields to produce heat straight to the cooking pots. The heat is generated very fast making them efficient whereas the glass ceramic hob stays cold for safety. It’s important to know that this type of cooker suits just iron and steel pots. 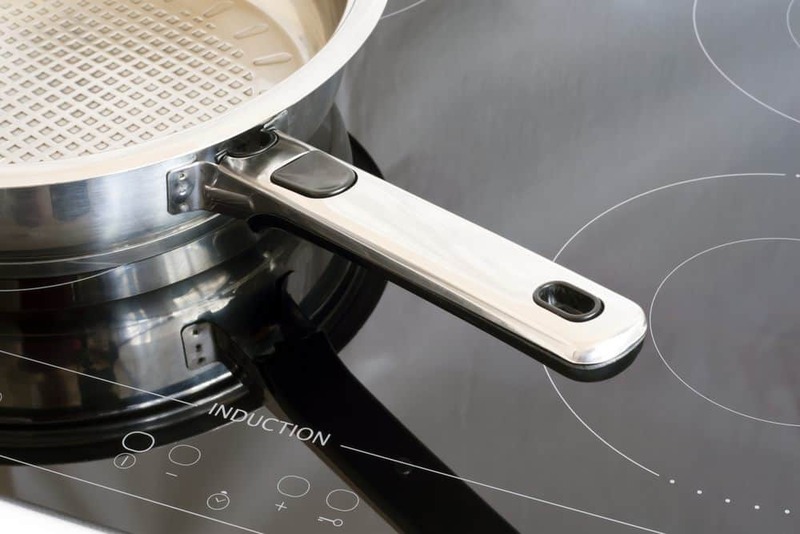 Learn how induction cooking works in this video here. To test whether your current cookware works with the induction cooker, get a magnet and try to stick it on the bottom of every cookware. It’s compatible with the cooker if the magnet sticks strongly to the bottom of each pan. Compared to gas ranges, the induction cooker is more energy efficient. Using this unit also wastes less heat as more heat is transferred into the pan. Best of all, it’s easy to clean as the ceramic surface remains cool even while cooking, and you can put some paper towels on top to catch any oil splatters or food spills. Since most induction cooktops are built with a digital timer that allows you to step away from the kitchen to do other chores, you can use them well for slow cooking. With a portable model, you can multi-task and even bring it anywhere for camping or any outdoor activities as long as there’s electricity! When buying a portable induction cooker, look for the number of power settings. The more power settings, the better, because you can fine-tune the temperature of the cooker to suit your various cooking needs. For instance, if you need to simmer a stew, you can use the lowest setting instead of blasting it to full power for a couple of minutes. For safety, look for a digital timer which allows you to leave the cooker even when in use. This means fewer worries when cooking and a great energy saver. The best induction cooktop features an 8-hour timer. 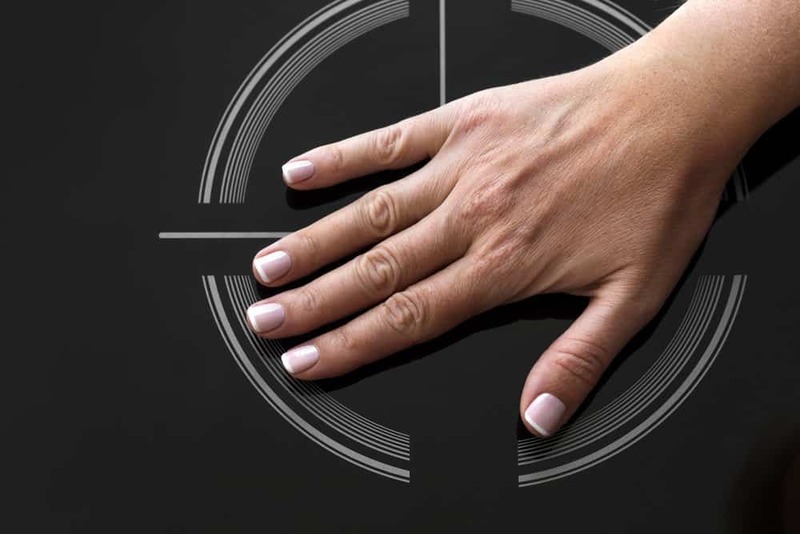 If you like a faster and more efficient induction cooker, look for the watt-power and choose the highest as possible. Most portable induction cookers have a power that ranges from 1,300 to 1,800 watts. Although the portable ones have lower power than the full induction ranges, the former can be plugged into ordinary wall outlets while the latter needs a special circuit. Like any other product, you want something that will last for a long time. To ensure the durability of the product, find a longer warranty. Often, the manufacturer offers a longer warranty because they're confident with their product's quality. The longer the length of the warranty, the better. 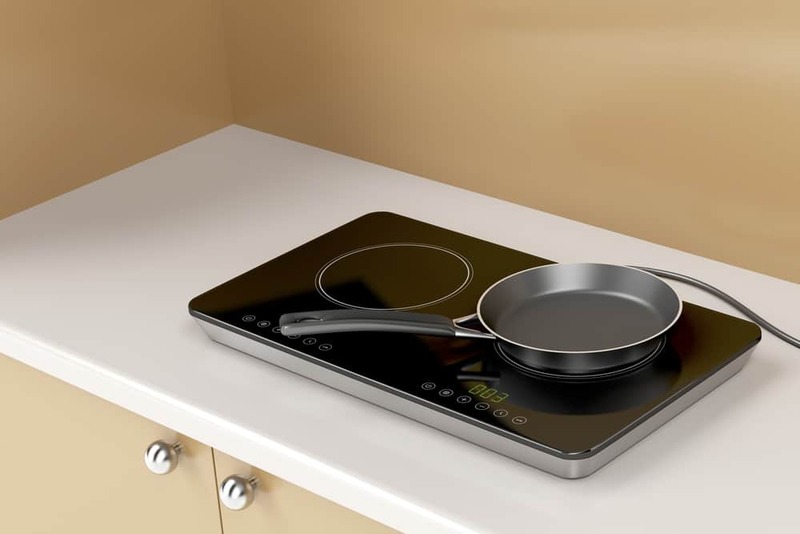 To get the best value for your money, look for an induction cooker that offers several features that improve its efficiency, convenience, and safety. If you have kids at home, look for a lock to hold settings so your kids can’t operate it without your supervision. An auto-pan detection feature will turn the cooker off automatically if no cookware is detected after one minute. To protect it from power surge, look for a voltage warning system feature. The Secura 9100MC features 15 power levels that range from 200 watts to 1,800 watts. The digital control panel makes it user-friendly. You can also set the digital timer up to 170 minutes of unsupervised cooking. Precise cooking can be achieved by adjusting the right temperature with one-minute increments. This cooker is also complete with an auto pan detection to turn off when no pan is spotted. Best of all the low and high voltage warning system and diagnostic error message system prolongs the life of your cooker. The fan tends to be noisy over time. The Duxtop 7100MC features a digital control panel for ease of use. The built-in digital timer has 5-minute increments up to 170 minutes. You can expect a maximum of 10 power levels to suit your every cooking needs from 200 watts to 1,300 watts. If no cookware is spotted, this unit will shut off automatically, thanks to its auto-pan detection. Like the Secura 9100MC, the Duxtop 7100MC is built with a voltage warning system and a diagnostic error message system. It’s also supported by a one-year manufacturer’s limited warranty. The Sunpentown Home Indoor Kitchen Induction is magnificent with its two functions: cook and warm. It features seven power settings which range from 100 to 1,300 watts. 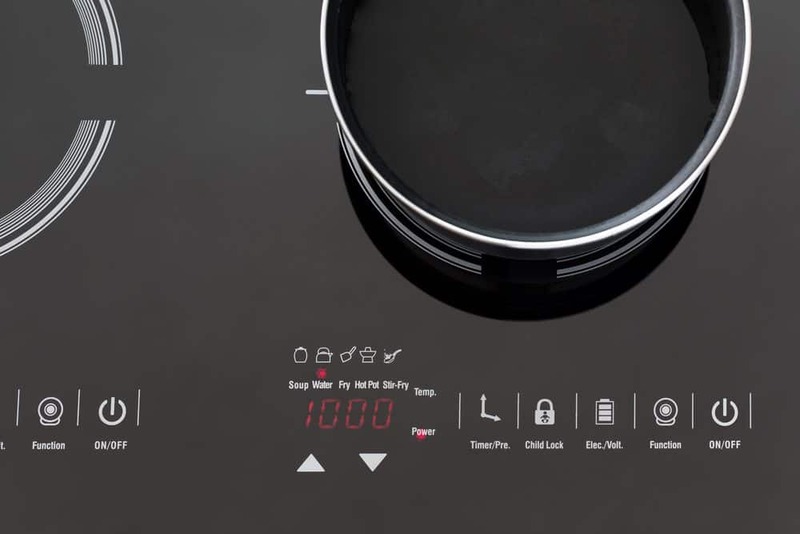 A touch-sensitive panel makes it easier to use the cooker while the micro-crystal ceramic plate makes it easier to clean. An auto pan detection feature is built to shut off the unit automatically if no pan is detected. If you have kids, you’ll love this cooker because it has a control lock to prevent them from operating it without your guidance. Moreover, you can cook without worries with its timer that can offer up to eight hours. The Max Burton 6400 Induction Cooktop is so easy to use with its one-touch simmer and boil buttons. For the safety of your children, this unit comes with a Lock feature to hold settings. You can set the timer up to 180 minutes of unsupervised use. The 6400 features 10 power levels. You can adjust the temperature from 100 to 450 degrees Fahrenheit in 25 degrees increments. Best of all, it features an overheat switch off and an over/under voltage switch off for safety measures. The NuWave Pro Induction Cook Station provides fast and efficient cooking with six pre-programmed temperature settings. A digital LCD control makes operation easy while temperature can be adjusted in 5-degree increments from 100 to 575 degrees Fahrenheit. For easy transport, this unit comes with a carrying case. The 12-inch cooking surface fits large cookware. Not only do you get a carrying case, but you also get an instructional DVD and a user’s manual with over 60 recipes. To extend the life of your induction cooker, this unit provides a manufacturer’s one-year limited warranty. Based on our ratings above, the best portable induction cooktop is the Secura 9100MC because it has most of the qualities that we’re looking for. For instance, the Secura 9100MC has a high wattage, digital timer, the most number of power settings at 15, and a one-year warranty. Although the fan is a bit noisy, you can do the most precise cooking with its one-minute degree increment adjustment. If you have tried using an induction cooker or has something to say or ask about the article, let us know in the comments section. Don’t forget to share this article with your friends and family!